NOTE: You will need to do this on your computer – not on your phone. You’ll need to create an account at Google if you don’t already have one. If you already have one, go ahead and login to Google using your computer. These setup steps will not work correctly using a mobile device. Once you have logged in to your Google Account, click here to navigate to your calendar. Click on the drop down arrow next to “Add a friend/coworker calendar” and select “Add by URL”. You will now see that the WHS Performing Arts calendar has been added to your Google account under “Other Calendars”. Next, click here to ensure that our newly added calendar will be synchronized with your mobile devices. Make sure the checkbox next to the WHS Performing Arts calendar is checked and click save. You have now added the WHS Performing Arts calendar to your Google Account. For Android phones, the setup is complete. For iPhones, please continue to the next section. Touch Add account > Google. Enter your name, your full Gmail or Google Apps address, and password. 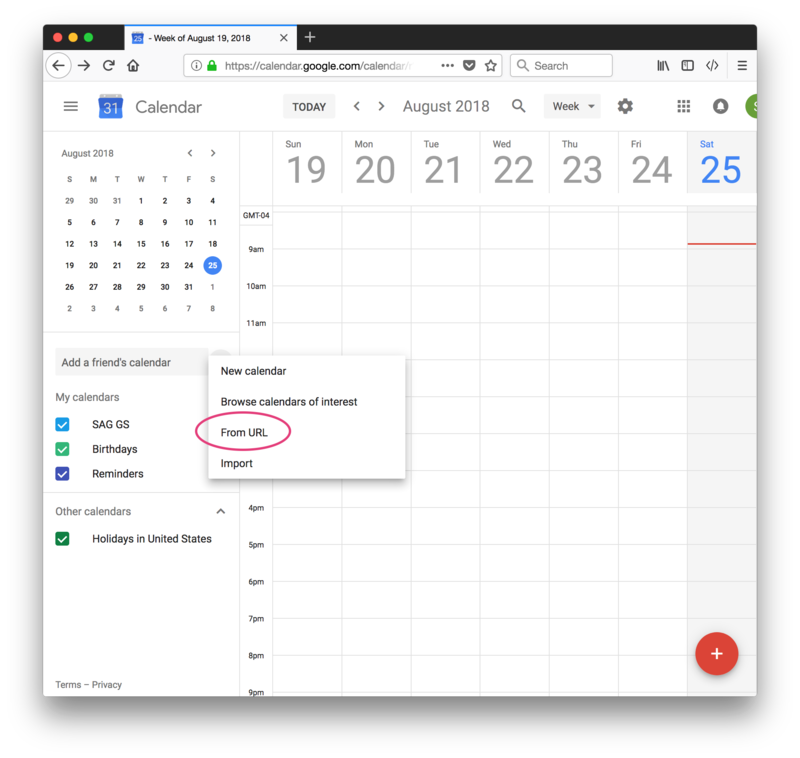 Emails, contacts, and calendar events will now sync directly with your Google Account on the web. To sync only your calendar, turn the other services off. Now when you open the Calendar app on your iPhone or iPad, you’ll see your WHS Performing Arts calendar events. If you are having any issues getting this to work, please visit the Google support page on this topic.